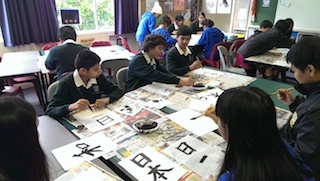 Japanese is taught from Year 9 through to Year 13. An emphasis is placed on students communicating through spoken Japanese. At Year 9 much time is spent on talking about themselves in Japanese and cultural aspects, with students expected to also read the Japanese alphabet, hiragana. From Year 10, courses are designed to give students the opportunity to communicate in as realistic situations as possible that best reflect each of the students’ access to Japanese. The Year 11 and 12 courses are both linked to various exchange programmes that will be described in more detail below. The ultimate goal is to prepare students for entering such situations above and then in Year 13 to set up situations where students are able to use Japanese in career related situations in Japan. Students have multiple opportunities to go and visit and study in Japan while at Lynfield College. 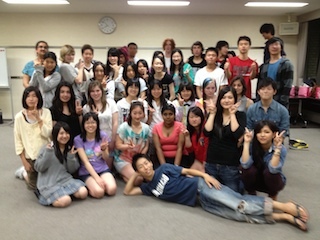 Each year during the summer holidays Year 10-13 students have an opportunity to go to Tamadai Meguro High School, Tokyo, Japan. They will attend classes on a daily basis and will stay with a Japanese host family for FIVE weeks. Students only pay for their flights and travel insurance. 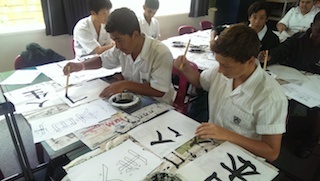 Students from Tamadai also visit Lynfield College for five weeks during the year. This is a unique opportunity for students to be immersed in a Japanese-only spoken environment. Lynfield College also has a strong relationship with Shinagawa, also in Tokyo. Auckland City has had a friendship relationship with Shinagawa since 1994 and once every two years students from Years 11-13 go to Shinagawa and other parts of Japan for 16-17 days. Occasionally, depending on numbers, Year 10 students might also be given a chance to attend. Students must be taking Japanese to participate in the friendship exchange. In addition, Japanese Government scholarships have also been awarded to students taking Japanese. In 2014, five Lynfield College students were awarded such scholarships to take part in the 2014 JENESYS 2.0 Exchange Programme (Japan-East Asia Network of Exchange for Students and Youth). 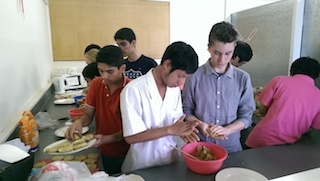 Only 20 New Zealand secondary school students are selected for this annual event. The Japanese course offers a solid foundation for those hoping to add an extra string to their bow when competing with other students in various career paths.